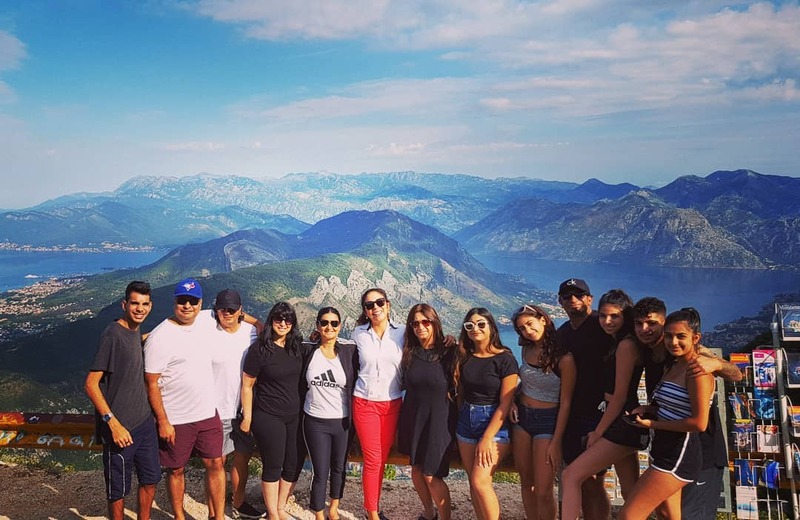 My family (8 adults form 87 years old to 43 years) visited Montenegro on November 16, 2018. Liset warned us that Montenegro is a tender port and to try to get early tender tickets. What a great tip, as we did not want to miss anything in this great port. 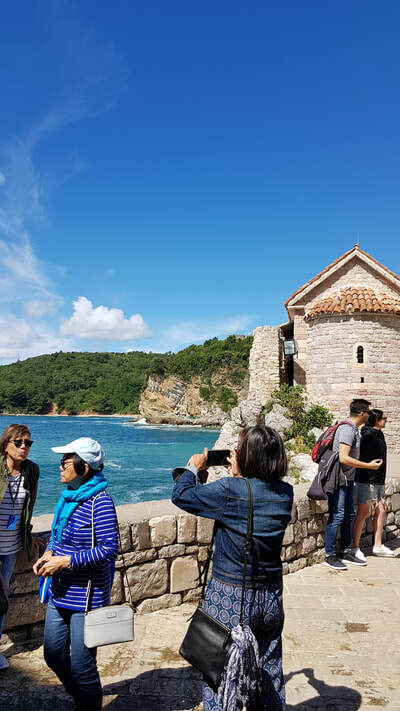 Liset was not available when we visited because of a death in the family but we were thankful she was able to send Zeljko to guide us on our full day "Best of Our Coastline" private tour. Our guide was fantastic. He was knowledgeable, personable and we loved his narrative and interesting facts. Vehicle was large and very spacious for the group. Truly enjoyed our visit especially Our Lady of The Rock; it was breathtaking. We cannot wait to come back and visit. A private tour is the way to go and I would highly recommend this company. From securing the reservation, to the invaluable travel information and getting a guide to fill in at the last moment makes this company top notch. Just wish we had more time in port!! Private Tour of Kotor - the way to go! Making the booking was very straight forward, and communication from Kotor Private Tours was excellent. They gave us a rough guide of what we could do on our tour which was very helpful When our cruise docked in late October Daniel was waiting for us with a clear sign and welcoming smile at the dock. From the moment we met him we could tell he was passionate about his country and this tour was going to reflect that. Daniel was very professional and had a good sense of humour. He was full of knowledge and was more than happy to share it with us. We had plenty of stops on our tour to take photos and enjoy ourselves. We stopped at a lovely cafe over looking Budva, and the view was amazing! The staff here were very helpful and the hot chocolate and coffee was top notch. Our visit of the old town in Budva was lovely. The day we visited seemed quite quiet which allowed us to soak in the atmosphere without so many tourists. We then drove back to Kotor along a road they used for car racing which allowed us to get a magnificent photo of our cruise ship in the bay. The old town of Kotor was very special. Daniel walked us through and gave us all the history of the area, before leaving us to do our own thing. We then had lunch before hitting all the cute little shops, of which there are plenty. A stroll across the road and we were back at the dock. Everything about this tour was fantastic. We were a group of 7 from New Zealand and the minivan we had was clean, tidy and very spacious. The timing was well thought out and the trip was comfortable and great value for money. Montenegro is a beautiful country and a private tour is a must. We highly recommend Daniel as your tour guide and highly recommend Kotor Private Tours as the company you choose. Enjoy! Highly recommended private tour of KotorMy family and I enjoyed the half day private tour of Our Lady of the Rocks with speed boat and guided tour of the town. We were very fortunate to get to Lady of the Rocks before the large tour boats arrived, enjoying an informative tour without the large crowds. The tour was very flexible depending on what we wanted to do, and we stopped at an area for the kids to swim off the boat. The town of Kotor was beautiful and Liset gave us a very informative walk around the town centre. Liset has very good English and a wealth of knowledge, making our tour memorable and interesting. I would highly recommend this company! We spent a day with Liset on a highlights tour including The Lady of the Rocks and a walking tour of the old town. Liset was a wonderful guide and her English was great. We especially enjoyed the Lady of the Rocks history and boat trip. What a wonderful story! Don't miss it. The town was charming and again Liset's command of the history was impressive and interesting. Best part was Liset herself - can't get a better guide in my opinion. "Ultimate Best of Their Coastline Tour"I booked this 8 hours excursion for my wife and me. When I booked I had a little fear about the length of the trip, but I was wrong. Our guide (the husband of Liset and a safe driver as well) was extremely prepared and friendly for all the day, telling us about the history of the visited places and showing us the magnificent bay of Kotor and all the other wonderful locations related to the titled package. The price is quite important but it's completely worth the experience, since it is a private and personalized tour during which you will be able to live unforgettable moments. Not even the hot temperature has been a real issue thanks to the omnipresent AC and because most of the time we stayed on a clean and comfortable speedboat. All that said I would definitely recommend it to anyone wants to enjoy the main beauties of Montenegro and has a short time to dedicate to it. 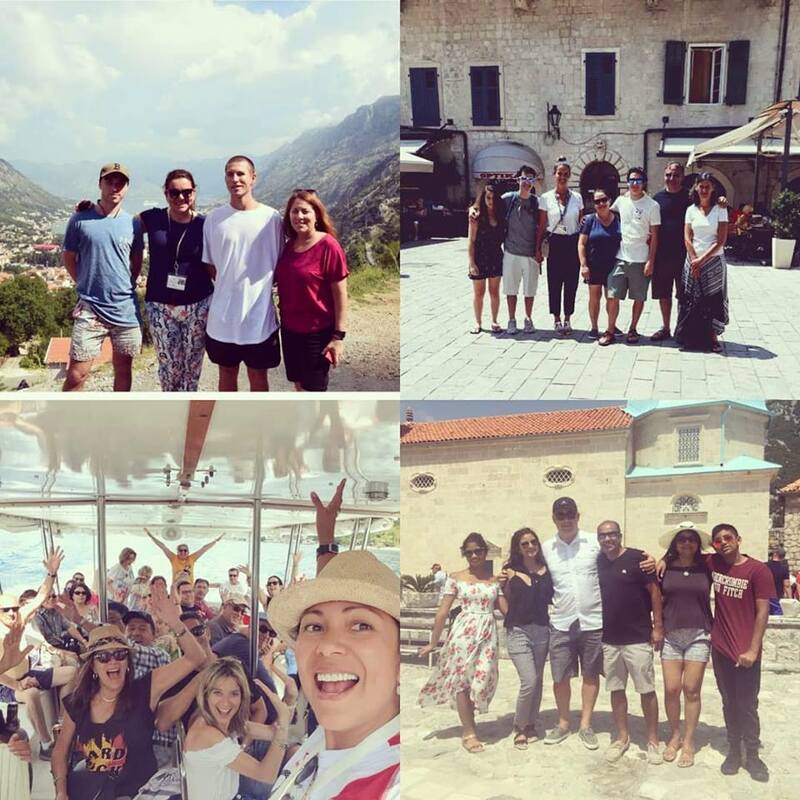 I love my experience with Kotor Private Tours! Went with my parents and my kids and my parents don't speak any English, surprisingly, our tour guide was bilingual (English - Spanish) and I didn't have to worry about translating every detail to my parents which came out very handy as you can imagine managing 3 little girls can be challenging! We also got available our tour guide at all times as well as our chauffeur. Finally, what it was even more fantastic is the fact that we had more than enough time to eat and buy some souvenirs without any rush. We had a great time! We booked our private shore excursion with Liset a few months prior and everything from that day on was perfect. We disembarked a little earlier than what was planned and there she was with her husband Daniel waiting for us. Our tour was conducted by Daniel, a Montenegrin and we couldn't be more satisfied. He made us feel at ease from the moment we met, he is very passionate about his country and gave us a vast of information about the history & places we visited, Kotor of course, Perast, Budva. Lady of the rocks church, not to be missed, many photo stops, plenty of time for lunch, & most important, saw a lot and never felt rushed and back on time. All in all a perfect day in Kotor, Montenegro. Thank you Daniel & Liset for an amazing day. I have been struggling with how to adequately describe the tour my husband and I took with Daniel as our guide.....priceless! The tour we chose wad "Ultimate Best of Montenegrin Coastline". It was a full day, private tour, by car and boat. Daniel picked us up at our hotel and our adventures began! Daniel designed our personal tour as to not compete with any cruise ship traffic. So we started and stopped the tour according to Kotor's daily movement of people. We made it to see St. Stefan. Quite a place. Too bad they don't allow tours. Budva was nice. Very crowded beach area right inside the old city. Very cool. Nice shops. Along the way Daniel gave us some history about Kotor. I had no idea. We boarded a private boat at Porto Montenegro. We had a beautiful ride out to the Blue Cave and swam in it for as long as we wanted. It was exhilarating to be on a smaller boat in the Adriatic. I felt like royalty. The boat ride and swim at the Blue Cave was unforgettable! I will treasure that experience forever. We toured Our Lady of the Rocks. Nice little Chapel and museum. Had a lovely seaside lunch in Perast. Very beautiful. Loved the Bay of Kotor and inside the city walls. Our tour was wonderful! We met Liset also. Really cool spending some time with knowledgeable locals! They were fun! We also opted for transportation from and back to Dubrovnik. Please understand it is a longer drive than it looks and the wait at the border crossing can be long. Do this tour! You will not regret it! Our new "FAVORITE" country; Liset is marvelous guide!!! 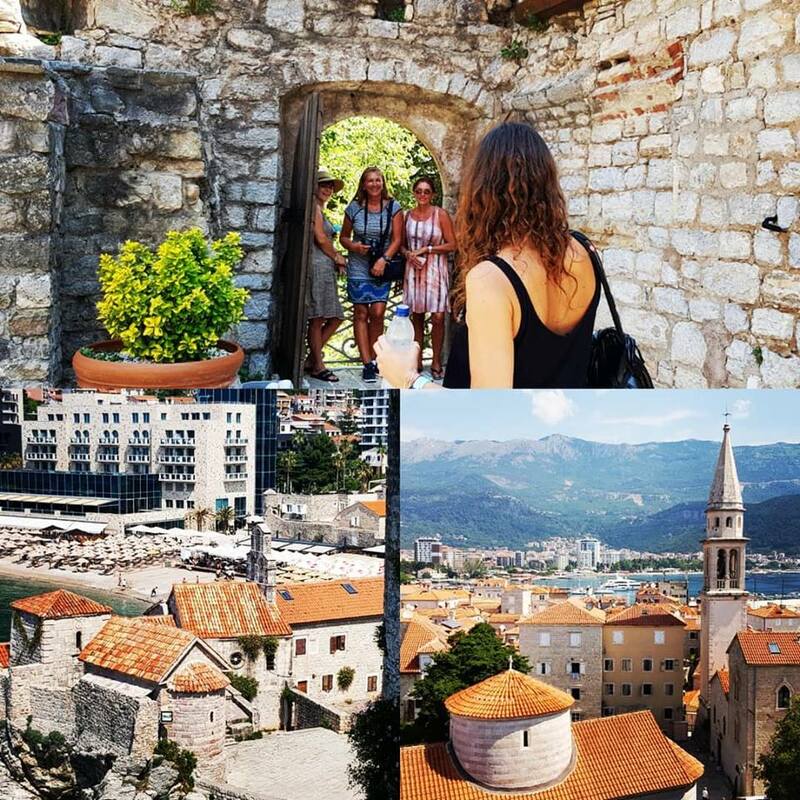 ​Montenegro was a big bucket list stop for me on a recent cruise, and it actually exceeded my high expectations!! Due to it's stunning/unique beauty, history, and one of the best guides we've had in 20 years of travel, Liset. I had sent her a wish list of places to visit almost 1 year in advance, and she took us to all of them and then some. She could not have been a more gracious guide, very informative, and wonderful personality who loves her work!! We were with her almost 8 hours and went to so many fabulous places!! 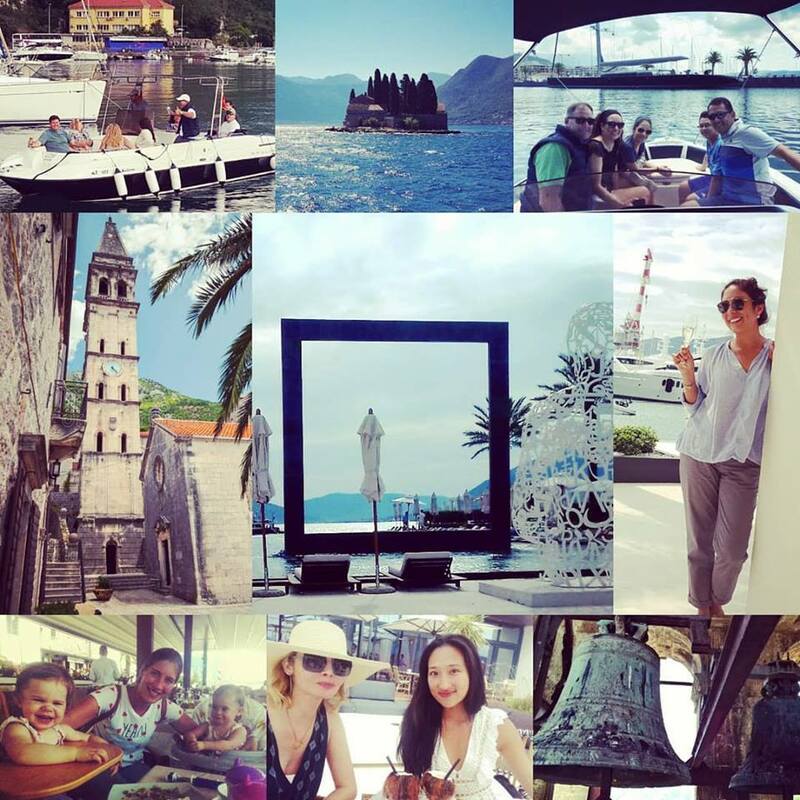 Perast, Boca Bay, Lady of the Rocks, Kotor old town, Budva, Porto Montenegro and more. I recommend seeing them all - just postcard perfect!! I highly recommend using Liset's company and we hope to return one day and spend a week in magical Montenegro!! Liset, her husband and team are very responsive, professional & great fun! The coastal panoramic drive was phenomenal! We will never forget our incredible drive up the mountain for lunch at a traditional prosciutto smoke house. (We bought some prosciutto and continue to enjoy our memories at home.) 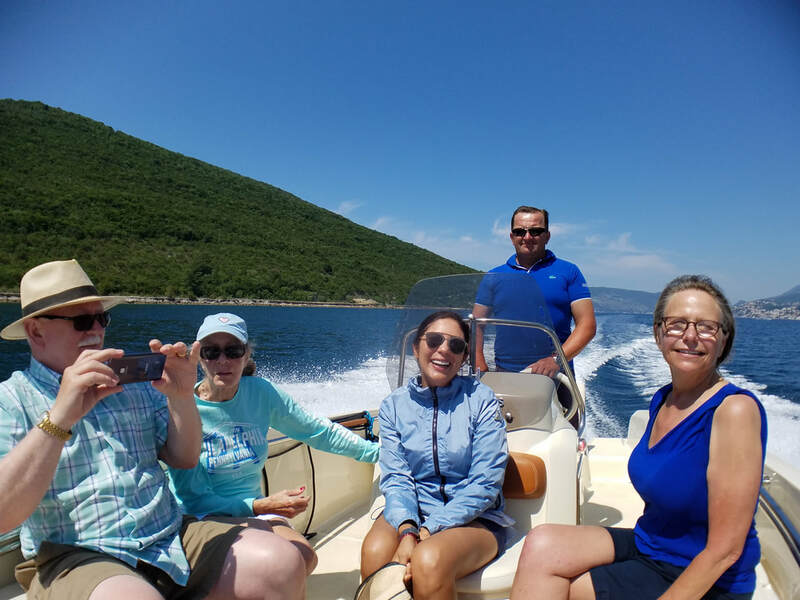 Our 2nd tour was a private speed boat ride along the Adriatic Sea to the blue caves with lunch seaside in Perast was the highlight of a 3-week Mediterranean vacation. This is my new favorite place in Europe. If you get the chance, book these tours. Our cruise ship stopped twice on a two-week trip. I never worried about getting back to the ship on-time. They took care of everything! ​We just completed a 10 day tour of the Adriatic Sea and our group conclusion was that this private tour of Kotor was the highlight. Thank you so much to Liset, our tour guide. She was so knowledgeable, personable and flexible with our scheduling needs. The boat trip and swim at the Blue Cave was a memory that we will never forget. We actually decided to skip lunch so as to go to another lagoon for another swim as the weather in June was absolutely perfect. Our Lady of the Rocks was a special place that I would recommend everyone take the time to see. Liset made it that much more special with her appreciation of the history and understanding of local folklore. I will highly recommend her and this spectacular tour to my friends and family. My highest recommendation for Kotor private tours with prompt and courteous responses from my very first point of contact with detailed information regarding the tour. Liset arranged a private tour with exactly what we were looking for. Our guide, Katherine greeted us on time, provided historical background and took us on a private boat to the lady of the rock island. It’s so nice to be away from the large crowded tours with personalized information from a local where you can interact getting the inside story. We had a lovely lunch in Perast with an amazing view on the water overlooking the bay with local food recommendations from our guide. It was truly a relaxing and unique experience. On our way back into town there was a huge accident and all the traffic was blocked on the main road. We were so worried we were not going to make it back on time for the ship’s departure. Katherine contacted Liset who made arrangements for us to be picked up on a peer near the road where we were stranded. Luckily she was nearby on a boat guiding another tour. She graciously veered off her tour to rescue us transporting us quickly back to the port where she had Daniel waiting to show us around the old town. We did some great shopping in this quaint little town at a store Katherine recommended. Our tour was amazing with an incredible rescue ending thanks to the professionalism of Liset, Katherine and Daniel. I would not look for any other tour company in Kotor. They are simply the best. Thank you to all of you for an unforgettable experience! Dejana and Milo were wonderful tour hosts - very patient and accommodating even though we were one hour late, as it took a long time to get the tender from the ship to the shore. If you arrive by ship ensure to leave plenty of time for the transfer ashore. Kotor is beautiful and is highly recommended. The drive over the mountains to Budva is spectacular. Thank you Kotor Private Tours for a memorable day in Montenegro! Amazing boat ride to the caves and beach bar! Liset and her crew met us at the port. Our group was large and she had three boats waiting for us. 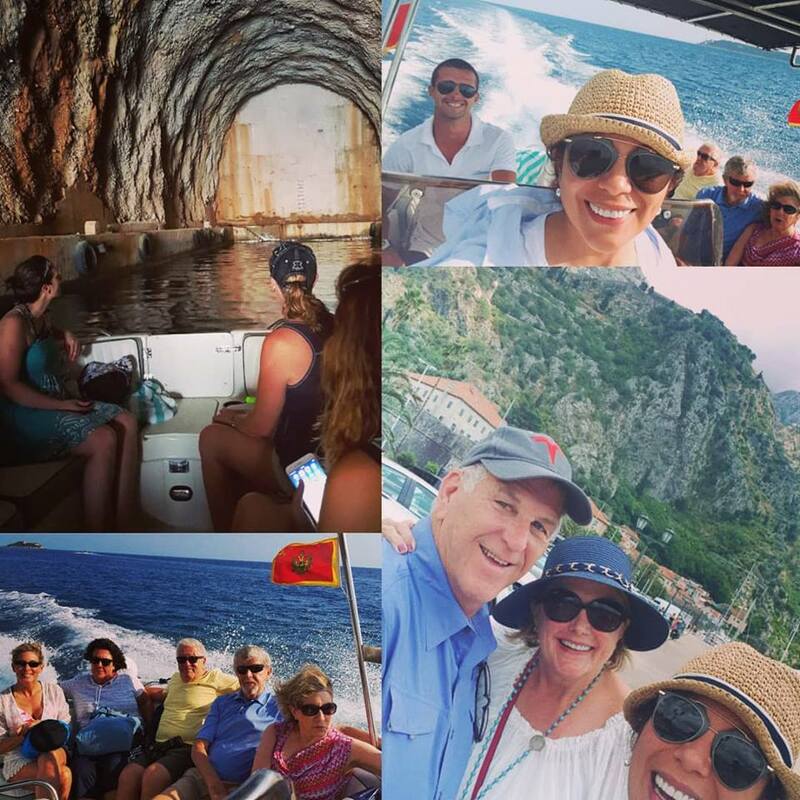 We had an amazing boat ride to the caves while admiring the beautiful scenery of Kotor. After swimming and checking out the caves, we went to a beach bar/restaurant that is only accessible by boat. This area was built right into nature and a treasure nestled on the beach. We learned quite a bit about the history of Kotor and Montenegro. Liset was very flexible with our plans and we opted to stay at the beach longer and missed the downtown area. I wish we had more time here - there is so much to see! This was the highlight of our trip. Great Tour!! !This tour was amazing. Our exit from the ship was long and frustrating as the ship did not dock and we needed to use tenders. We were about 90 minutes late for our tour and yet it was perfect! Our tour guide was waiting for us and she made the time available work. She was very informative, yet patient and allowed our large group the time we needed to do our thing. The speedboat portion of the tour was PERFECT!! in fact, this was our favorite port and I thin it was in part due to the tour. Being on that boat in Kotor was truly breathtaking. I highly recommend this tour and this tour company. The booking process was a breeze and the tour was everything we expected and more!!! Our excursion by boat was the best way to enjoy the beautiful scenery. We were greeted by Katerina and our driver as soon as we disembarked from our cruise ship. We immediately boarded the boat and continued on our journey through Kotor Bay. Katarina provided us with so much information about the area and its history. Our driver was so helpful to take time for us to enjoy the sites as Katarina shared information. When we spotted dolphin, our driver even stopped to just let us enjoy watching them. Without asking, he kindly just did things on cue. Truly, this ride was so serene! There were several highlights during this trip; the best was the Blue Cave. Absolutely beautiful! We also had time to go to a beach and swim for about an hour. When we arrived back in town, Katarina gave us a wonderful tour highlighting past and present Kotor. One of our most enjoyable tours during our trip to Europe. I highly recommend! What an amazing day! Thank you! This tour was amazing. Our exit from the ship was long and frustrating as the ship did not dock and we needed to use tenders. We were about 90 minutes late for our tour and yet it was perfect! Our tour guide was waiting for us and she made the time available work. She was very informative, yet patient and allowed our large group the time we needed to do our thing. The speedboat portion of the tour was PERFECT!! in fact, this was our favorite port and I thin it was in part due to the tour. Being on that boat in Kotor was truly breathtaking. I highly recommend this tour and this tour company. The booking process was a breeze and the tour was everything we expected and more!!! We have travelled the world and our choice will always be private tours with private guides. 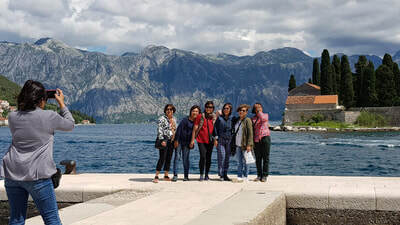 From the first email from Liset we knew that Kotor Private Tours was an excellent choice and that we could expect a very special tour.We were on a 17 day cruise with ports every day along the Adriatic coast and then the Mediterranean coast and Kotor Montenegro was by far our favourite port. Kate was our guide and she was fantastic. The scenery was incredible and the tour that I had carefully planned with Liset was fabulous. A highlight was our visit to a family owned smoked house in Njegusi and local specialties tasting: traditional prosciutto,cheese, tomatoes,bread a well as homemade wine and brandy. This family were so hospitable and made our day. We enjoyed our tour through their prosciutto factory. We were a group of friends who met through Cruise Critic and I would highly recommend this company to other Cruise Critic groups. A big thanks to both Kate & Liset. We stopped in Kotor on a 14 day Mediterranean cruise, and this day was my favorite! We took an early tender from the cruise ship to shore and had coffee in the square before our tour began. Liset was an amazing tour guide! We went on a small speed boat with a driver and Liset to see the two small islands that are famous in Kotor. We then took the speed boat out to the middle of the beautiful scenery and jumped into the sea! It was an incredible experience and the views are like no other. We finished off the tour by walking around Kotor and learning about the history of the city and country of Montenegro. Highly recommend this tour! Liset was very professional, fun, and definitely wanted us to enjoy our day! We recently traveled through many cities on a Medeterrain cruise, and we booked private tours in most ports. This company in Montenegro was the most accommodating of all! Our guide, Mirela, took us where we planned, but happily allowed us to decide on changes as we went along. We loved the beach view for instance, and on this HOT day there was a cool breeze as we got closer to the water. Although we hadn’t planned on it we decided we wanted to stop for a meal rather than a quick snack. Our fabulous guide got us into a restaurant on the beach, she made recommendations for fresh, local foods, and did all the ordering for us in her native language to ensure we got good treatment. And we did! Even though it was unplanned, it ended up being my favorite part of the day. Aside from this, Mirela adjusted her pace to accommodate for our waning energy level after our delicious meal! The entire day was lovely and all my dealings prior to our trip were easy and very cordial. Great experience all around. 5 star experience in Montenegro with Liset Kotor Private Tours. Liset was the consummate professional - answered my questions right away and was accommodating and helpful with her suggestions. We had Nela as our guide, who was lovely - what was special about her was how good she was with our 4 children, who ranged in age from 6-12. She was EXCELLENT with all of them and held their attention very well. She also was enjoyable to talk to with the 4 adults on our trip - answered all our questions about life and culture in Montenegro. The driver with her (I forget his name) was also fabulous - chimed in with information, and bought my niece a postcard as a present as a token of his own volition. I would absolutely use this tour company again!! My family and I took the jet boat tour to the blue cave as part of a private shore excursion from our cruise ship this past July with Liset. She was friendly, fun, accommodating and knowledgeable. We were lucky and had great weather and enjoyed swimming into a couple caves- beautiful blue when the sun hits just right. The kids LOVED the jet boat ride itself. We then had a short tour of Kotor and honestly wished we could have had more time in the port to discover more of this quaint walled city. Liset was wonderful showing the kids where to shop, what pizza to eat, and for the adults what beer and wine to drink! Of all our port excursions the kids like Kotor and the jet boat ride the best and I know we will definitely be back in the future.